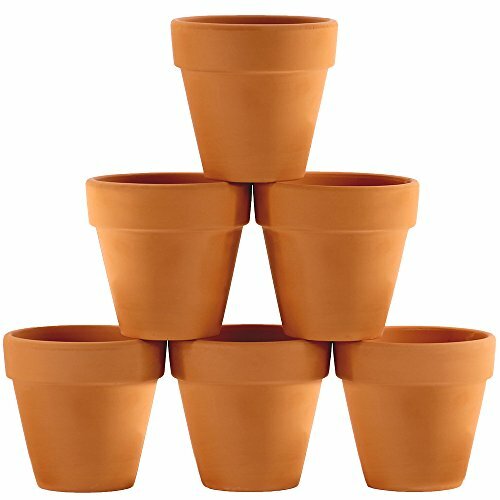 These terra cotta flower pots are small but versatile. You will find them suitable for many of your gardening projects, especially for growing seedlings. They can also be used for creative craft projects, children's activities, and decorations. If you have not used these pots before, you might find them smaller than they appear in the photos. These pots are delicate and so need gentle handling. Succulents need terra cotta pots though (to really thrive), as plastic tends to trap the water inside the pot for longer and doesn't allow the soil to dry out fast enough, which can lead to terrible things like root rot. So again, these are perfect for TEMPORARY homes.